The Baptist’s noble resignation of his own position, and claims to Jesus starts the thought – “He must increase, but I must decrease.” At this point the Evangelist (John, the writer of the Gospel of John), as we have seen, takes up the discourse. The Baptist’s declaration that Jesus “must increase”– that He is a messenger of a transcendently higher character, and with a far larger and more significant message than his own — furnishes the Evangelist with a text. He will show why Jesus “must increase.” He must increase because He comes from above, and is therefore supreme over all (John 3:31). This statement he repeats; defining from above hanōthen by out of heaven hek tou ouranou, and emphasizing it by contrast with mere earthly witness ho ek tēs gēs whose words bear the stamp of his earthly origin hek tēs gēs lalei. 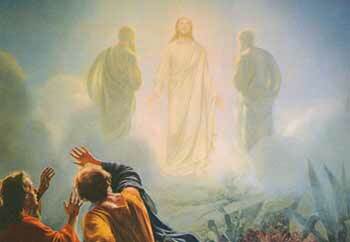 Being from heaven, He testifies of heavenly things, as an eye- and ear- witness. 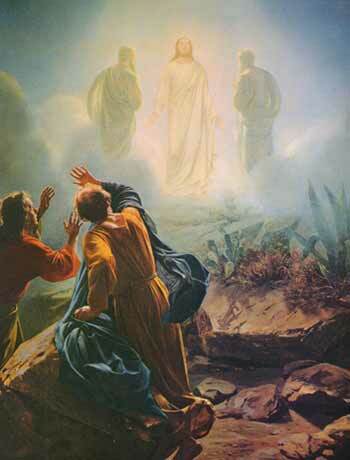 “What He hath seen and heard, of that he beareth witness.” It is indeed true that men reject this testimony. “No man receiveth His witness” (John 3:32). None the less it is worthy of implicit credence as the testimony of God himself. He that has received that testimony has solemnly attested it as God’s own witness; “hath set his seal to this, that God is true.” To declare Jesus ‘testimony untrue is to declare God untrue (John 3:33). For He whom God hath sent utters the whole divine message (the words of God, John 3:34). Thus far the reasoning is directed to the conclusion that Jesus ought to increase, and that His message ought to be received. He is God’s own messenger out of heaven, and speaks God’s own words. But this is to repeat what has already been more than implied. It would seem to be superfluous to say of one who comes out of heaven, who is supreme over all things, who bears witness of heavenly things which He has seen and heard, and who reveals the whole message of God to men– that God bestows upon Him the Spirit without measure. Take up, then, the chain of thought from the first clause of John 3:34, and follow it along another line. The Messenger of God speaks the words of God, and thus shows himself worthy of credence, and shows this further, by dispensing the gift of the Spirit in full measure to His disciples. “He gives not the Spirit by measure.” This interpretation adds a new link to the chain of thought; a new reason why Jesus should increase, and His testimony be received; the reason, namely, that not only is He himself divinely endowed with the Spirit, but that He proves it by dispensing the Spirit in full measure. Therefore, John the Baptist must decrease, and Jesus must increase. A measure of the Spirit was given to the Baptist, sufficient for his preparatory work, but the Baptist himself saw the Spirit descending in a bodily form upon the Son of God, and heard the voice from heaven, “This is my beloved Son, in whom I am well pleased.” The Spirit is thus Christ’s own. He dispenses, gives it didōsin, in its fullness. Hence, Jesus said, later, of the Spirit of truth, “He shall glorify Me, for He shall receive of mine, and shall show it unto you. All things that the Father hath are mine; therefore said I that He shall take of mine and shall show it unto you” (John 16:14, 15). Truly uplifting,l need prayers for faith restoration and to recieve Holy Spiri. pray for me to recieve the Holy Spirit please. i have been asking but not yet received. Debbie – I will send you an email. Made possible by nature of the virgin birth of incorruptible Seed of the woman. Heir of all things is Abraham’s seed. Blood of the Holy Father was conceived when Mary said ; ” according to your word amen !”.. Holy Word became Flesh and dwelt with man. Immanuel is God With Us. Thus enabling the Holy Spirit Anointing Perfect Incorruptible Flesh to be Anointed without measure. Nature.